Allow this material, and the stories to “wash over you” as it is shared. Trust what you enjoy and note where you “leap” or catch your breath! This material is about accessing, honoring, and connecting to both the Archetype of Wisdom and your own unique personal wisdom. Invite a new level of nourishment, relaxation, strength and majesty into your life. The first three emphasize Knowledge—the last 6 discuss messengers of that knowledge and their abilities. The sum of learning through the ages; knowledge: “In those homely sayings was couched the collective wisdom of generations” (Maya Angelou). Wise teachings of the ancient sages. The ability to discern or judge what is true, right, or lasting; insight. A wise outlook, plan, or course of action. Discernment, judgment and discretion. The Experience of being called – e. a person is called to the individuation process, to their personal gnosis and wisdom— intellect is necessary and of value, but wisdom is not intellectual or religious knowing or philosophy. As we noted in the definitions above, often these two are not separated and need to be. The Wounding of being called – the call always begins with a wounding of the personality. Because of the resulting suffering and shock, the call is often not recognized as a calling and may never be. The collective offers us many distractions from understanding this. An Inu shaman, speaking to Northern explorer Knud Rasmussin, said–“The only true wisdom lives far from mankind, out in the great loneliness, and it can only be reached through suffering.” p. 234 Seldom a sought after choice! Emma Jung asked in this same seminar about the difference between intuition and revelation. Jung answered that intuition was usually one’s own activity but that intuition and revelation have the same depth source—a revelation has a more autonomous, insistent quality and a strong sense of authority, however—–it is imperative that one have a dialogue with it—most intuitives just egoically take on this sense of authority for themselves, but that can be dangerous—the power is only in receiving it with discernment and taking the time to have a dialogue with what was given. In The Red Book, his private journal written after his falling out with Freud, when he was ill and flooded with visions, shows us his journey to his personal window that became his own way of wild wisdom, as he recorded, dialogued and painted the archetypal figures he encountered in his active imaginations. In this time of deep reflection upon his career up to that point, Jung concluded that he had been inflated with the hero archetype (a universal unconscious impulse or instinct that takes on a particular form—in this case, the impulse that all cultures feel to create a superhuman individual, a hero). He became aware that he had been ambitious, arrogant, and successful, but at a price. Living the myth of the young hero no longer suited him, for he had given away his own individual path in the process and had lost his soul. 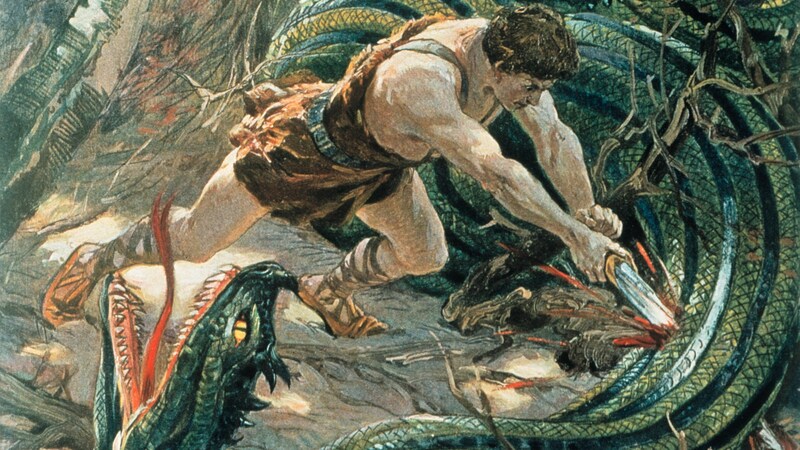 In becoming Freud’s heir apparent (the “blond Siegfried” as the Freudians called him), he had allowed himself to be devoured by the father (in Norse myth, Siegfried’s father is named “Sigmund”) and had sacrificed his own convictions and ideas, becoming inhuman and unfeeling in the process. (I will add that Siegfried as a warrior without fear forgets his soul mate Brunhilde in his heroic journey). Jung’s visions were telling him that his ego had been inflated with the archetype of the young hero and that this had to stop—i.e., that he must kill the young hero in himself and that this would give rise to a new myth for him to live by. Jung felt that if he hadn’t come to an understanding of these visions, he might have been tempted to act them out literally—i.e. use the revolver in the night table drawer. Jung was adamant about reminding people not to follow his path blindly in any way and stressed that he was only LIKE a prophet, hero or messiah, not imitating or becoming one. In other words, he asked that there be no projection on him to carry forward your work and that one must avoid an identification with the archetypal energies that arise within us, thus averting either a negative or positive inflation. The ego is deeply challenged as the adult must let go of unnecessary identification and must learn to navigate in the world with the assistance of the positive shadow, hopefully recovered as an ally. Together they must be able to withstand the paradoxes in the positive/negative polarity of the archetypal energy without getting possessed—this translates to the ability to become a strong observer —that observer might show up in a dream as a positive shadow figure—a saving grace–it will require respect, acceptance, embrace and integration. As ego strength is stabilized and strengthened and becomes the navigator through the polarities, complexes, patterns and fields in one’s life (it can be helpful to think of the image of walking around pot holes and/or volcanoes), one has the possibility of moving forward towards personal meaning and purpose. Jung remarked that the experience of one’s own journey is a bit like an “object thrown against” you. Think of “Paul on his way to Damascus”—-he had to be overthrown and blinded, in order to make him believe, because Paul was not convinced. p.881 Zarathustra. As the non-ordinary way of seeing or experiencing comes in, and as one recognizes the call and learns to honor and live in two worlds, there is usually surprise and/or shock—one can feel like ”damaged goods” on one end or get caught in a positive inflation of arrogance on the other—either way the danger of identification and possession exists. The ego will also be challenged to feel out its limits, and stay in observation and dialogue to avoid this identification or possession by a complex or archetype. We will experience the learning of this discernment in 2 stories shortly. Besides the value of dialoguing with archetypal figures, it is also helpful to name them, as Jung demonstrates to us in The Red Book. These abound in Myth and Fairy Tales. Nietzsche’s inner guide and source of wild wisdom was named Zarathustra. Jung named that energy “the wisdom of nature, “”the wisdom of the underworld,” “the wisdom of the moon.” p. 874. 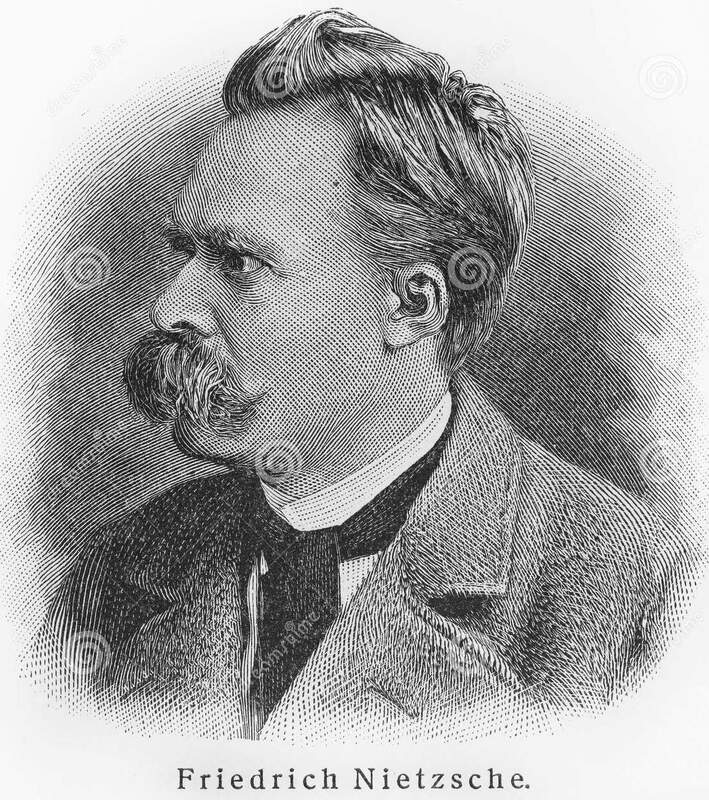 Nietzsche ultimately became identified with Zarathustra, however, and lost differentiation. Two stories came to mind, one from Nordic Mythology and the other from Jung’s writing in The Red Book about his terrifying experience while in an active imagination. He encounters the giant axe-wielding god, Izdubar, who becomes lame from science. Both stories bring forth new understanding directly from the unconscious that can be translated and put to use in one’s personal world—the first is an image from Nordic mythology which offers healing from ill will plus assistance for further challenging encounters to come; the second is one of Jung’s active imaginations that uncovered a pathway of healing, along with how to become an ally to the lost, wounded parts of ourselves, most particularly, the Divine that is seeking life and space within us in order to come into the world—you are the vehicle for that to occur. Imagination, stories and images ease our way and serve as a bridge to new possibilities. 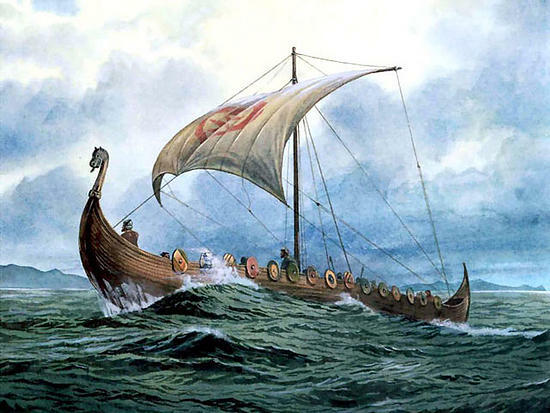 Skidbladnir, Freyr’s Ship of Gold, made by the dwarves at the request of Loki as a peacemaking offering to Freyr for one of his many mischiefs was an exquisitely crafted ship. It had so many parts that it could be folded up and put into one’s pocket. Not only was it available to take one wherever one needed to go, but it had the ability to carry the individual through Ragnarok (the final battle in Nordic myth). This offers a metaphor of how to escape annihilation and be able to continue moving into a new consciousness. Such does imagination allow and thus does it serve. We shall see that Jung also put something in his pocket. 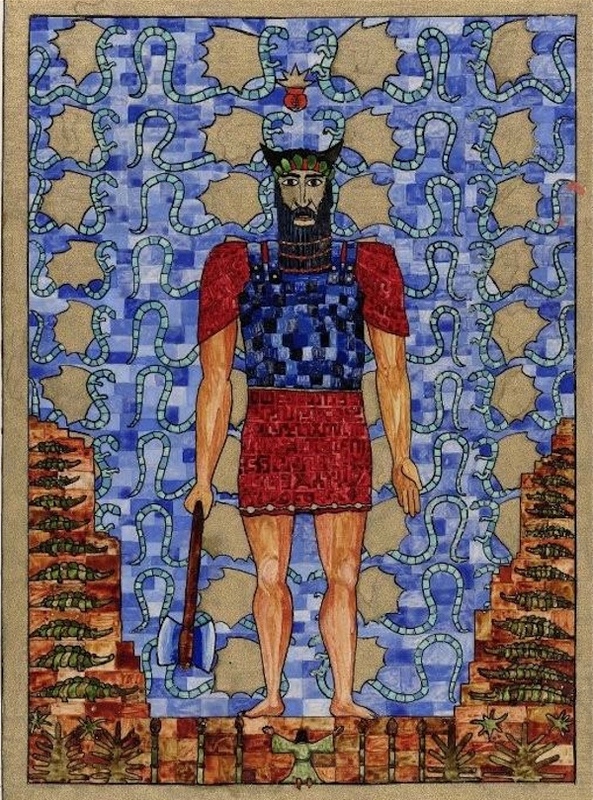 Here is the Active Imagination in The Red Book of coming upon the giant Izdubar—( this is an older name for the semi-divine Sumerian hero/giant Gilamesh)–and of his terrifying, moment by moment experience, his action and dialogue as he trembles with fear. The theme of his overdeveloped intellect and the need to reclaim his lost soul are revealed in his attempts at rational explanation to Izdubar, which strike the giant like poisonous darts, laying him low. Too late in the encounter he realizes how the tyranny of reason and intellect have poisoned the visionary, the magical and the imaginative ways of thinking that the Giant knows. The cold night begins to come upon their dialogue. Two kinds of truth existing is eventually established. By now he realizes he has come to love Izdubar but has no idea how to help him. By the second evening the situation feels dire. Jung withdraws to a high rock—(one must be quite alone to let the thoughts echo.) He begins to understand that Izdubar is a fantasy, but that he would never accept that he was a fantasy. When he approached Izdubar with this understanding, the giant is terrified and highly offended, calling it “murderous” but he eventually moved into the acceptance that he was as real as a fantasy because he knew his priests would understand that. Nonetheless, the situation remained complex—– until Jung’s inner voice further clarified that now that Izdubar was a fantasy— he had become lighter; he realized that he could now put him on his back and take him down the mountain for healing with his friends in the Western world. Arriving in a garden, he lays Izdubar down and goes to the door—- but the door is much too small to get Izdubar through it! Realizing that a fantasy takes no space, he squeezes Izdubar into the size of an egg and puts him in his pocket in order to be able to enter the door for the healing to begin. Through his feelings of remorse and compassion for Izdubar, (the God within lamed by science), Jung was forever changed. We see a re-balance and strengthening of the ego here that is bearing the stretch between the polarities of science and mystery—- a shift actually occurs from judgment and fear to assessment and discernment, within this bearing of stretching, resting and reflecting that is able to move into reality. Jung wrote of what he discovered about himself here. Whatever our major organ of perception, our main type is usually being one of four…thinking, feeling, intuitive or sensation– (there has been expansion of this system to include the centrovert). Responsible discernment is enhanced with this self-knowledge—real qualms will come up and, sometimes, illness through this growth process of learning in order to begin to respect one’s individual ways of perceiving. The discovery of your typology through the Myers Briggs Typology test is available on-line. It is invaluable and offers a most helpful way to discover one’s conscious and unconscious ways of perceiving. This self-knowledge will assist personal processing. For example, I was not convinced at all about doing this seminar. I checked in with myself and got the sense that it would not be wise for me to argue or fool around with this message, despite how put upon I felt to be told to do the seminar. When I heard the “voice,” (no image), saying— “We are going to do a seminar,” I was shocked and said, “You have to be kidding.” Honestly, it felt preposterous. I was very busy with quite enough, thank you! The voice was not “where I was going,” so to speak and was how I felt, but that reminded me of one of my favorite poetry books, called Is This Where I Was Going? I began to understand and stopped arguing! However, I could feel a seriousness about the whole thing and that I shouldn’t ignore this. The energy was very strong—there seemed to be no backing down and I felt I was up for a haunting if I didn’t deal with it –I knew that more dialogue than “You have to be kidding,” would be required. I thought I had gained respect long ago for these moments, but saw that I truly hadn’t been respectful! Kane comments on this respect factor— He says —there is a real necessity for courtesy before information will appear—wisdom cannot be compelled—Kane 179—both worlds must be valued and sustained, neither one rules the other! One day some humor came in…I had been thinking— this feels like I have taken on the job of making liver palatable—tried to do that for the family—Roaring, I realized …oh, I get it, this seminar is about being able to become a “liver” and make it palatable! Dialogue stayed with me as Intense interest bubbled up—pretty soon, I was exploring and weaving. I am describing my sense of the sorting and sifting required to attend to both the inner and outer world demands that we are All called to attend to—the inner Impersonal Voice of the archetypal connection is Ignored at one’s peril, however. It is best to honor the Great Experiment that You Are. So, Let’s focus on what is your own awareness and what is revelation? 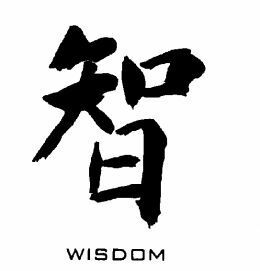 Wisdom may show up as a trickster animal—lioness, she-bear, bird—raven— Odin’s ravens, Hugin and Munnin, Mind and Memory, come to mind– snake, bee, cat, fox, etc. come in our in dreams or they may actually show up in reality with their timely message. Much to my amazement I met a large black King snake in my house one day. One can be a raven and a human at the same time—here is the necessity of the double life, the double-mindedness that must live together in us. p. 149 Kane Both must survive and live together. In our daily life we must also begin to think like an animal—like a bear in bear country—correct action is listening, not talking—here you must know nothing—only be available to the foreign languages of smell, sound wind, seasons, and wildness—Kane, p.115—then will arise the music of the pattern and all the relationships there in their many states of change. This ‘being in the forest’ calls for a shift of gear in awareness and the discipline to remember the value of relating to the unconscious directly, allowing perception with observation. That data availability has usually been cut off in us through abuse or interruption of our natural channels. 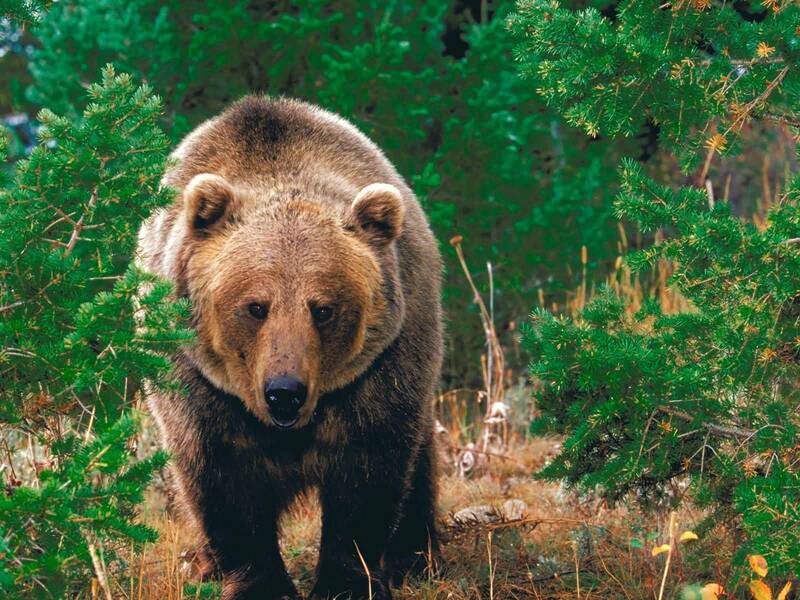 The hunter “carries the whole music of the forest in his soul.”—Kane, 115– he hears the echoes, “the signs and the songs”—he knows they are never not there—never not present and never not active. I was given such a teaching in Norway on one of many outings with my cousins. 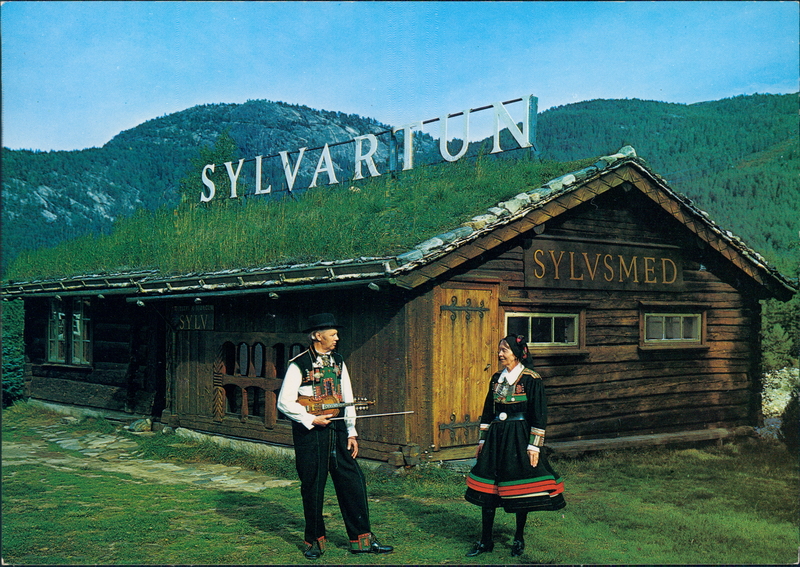 We stopped by a little private home museum in Setesdal, the home of 2 brothers—yes, already sounds like a fairytale and it felt that way—one was a violinist and artist, the other a jeweler. I felt I had entered Svartalfheim, the world of the dwarves. After buying some jewelry, the violinist asked me to sit down in the little personal museum area. As he began to play his violin, he said with a twinkle in his eyes,” Listen to the music from Underneath.” Tears rolled down my cheeks —in that moment I so deeply felt a connection to the world of the trolls and dwarves and elves and fairies that are in my heritage. 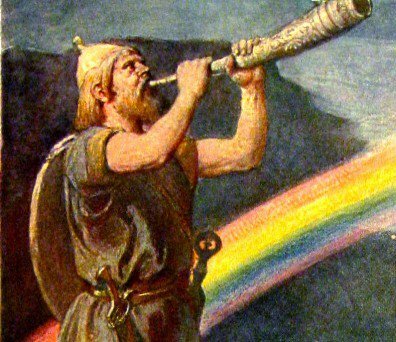 The level of listening required is described in one of the abilities of the Norse God, Heimdal, Guardian of the Rainbow Bridge who could hear the grass grow. Such spontaneous religious experience brings the possibility of developing real faith—- to be able to move into the possibility of a personal relationship with Source. From that point on for the individual, there will be no more automatic dissolving into the crowd. A necessary, check in with oneself, Pause Space becomes possible and necessary, offering deep respect for self along with wider. new choices. Before listening to a story about lost instinct, I want to address the necessity of the Recovery of instinct. Our learning capacity mostly cuts us off from instinct and, of course, this is culturally rewarded—most of us are alienated from our instinctual foundations, i.e. our identification is usually more with conscious knowledge. It is just here that we become split through an idea of ourselves versus the real, original being that we are. Imagination cuts through this challenge, which we will see in the story of The Snow Goose. Instincts—instincts form structures and patterns of human behavior while archetypes are expressed as images. 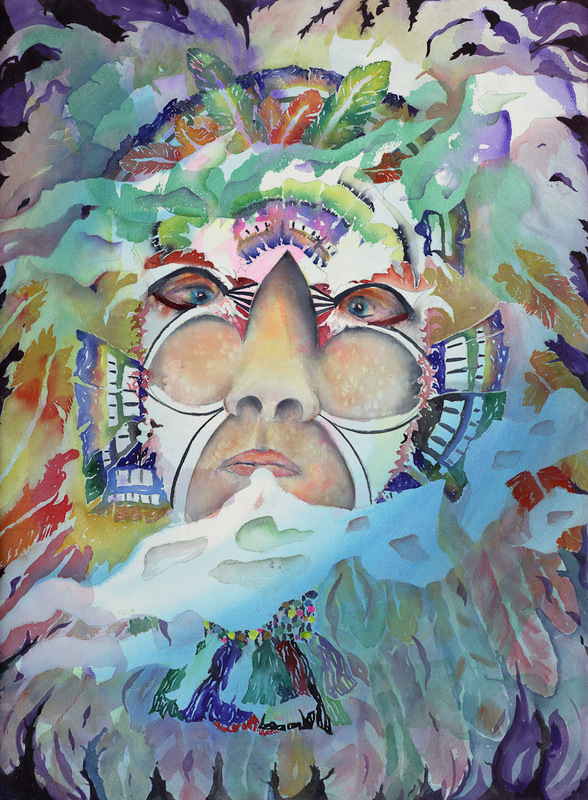 Both arise and self-regulate within the collective unconscious—they pulse in our genes and psychic structure; both bring and express Life—the most important factor here is that the unconscious is Objective in the information it gives, coming through our “ contrary feelings, fantasies, emotions, impulses and dreams, none of which one makes oneself, but which come upon one objectively” Jung, The Undiscovered Self. Every instinct brings archetypal contents ( think of an animal image in dream), and will also be linked to one’s philosophy of life and will stimulate thought—there will be a sense of aliveness. Kalsched. However, Jung made it clear that if one doesn’t “think of his own free will, then you get compulsive thinking.” CW 16 Par. 185 What a task consciousness is! 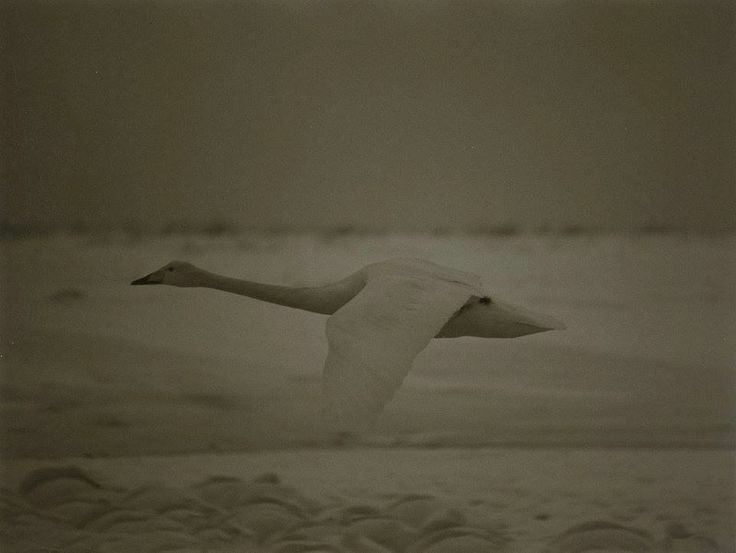 Lost instincts, their return and greater purpose are hidden in this poignant story of THE SNOW GOOSE, by Paul Gallico . Phillip was an artist who was also called Rhayader. He was considered an odd man in the village, yet he had a noble bearing. He lived in the old lighthouse on the marshlands of Essex, caring for wild birds. One day young Fritha from the village discovers an exhausted Snow Goose, wounded by gunshot on the beach and many miles away from its home. She knows of Rhayader and his work with birds and decides to seek him out, feeling her deep sadness for the Snow Goose –- caring eventually overcomes her fear of Rhayader. The Snow Goose mended rapidly. As Princess healed and Fritha continues to trust Rhayader, a strong bond forms between the three of them. One June morning, her ”white body and black-tipped pinions, shining in the spring sun.” p.23 joined the call to fly with her kind. Fritha shouts to Rhayader, “The Princess is going home. Listen! She is bidding us farewell.” P.24. 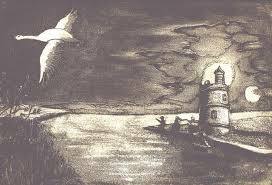 The departure of the Snow Goose ended Fritha’s visits to the old lighthouse and Rhayader returned to his loneliness. He paints a picture of Fritha bringing him the bird. But Princess, to their surprise, re-visited the Great Marsh each season. A natural rhythm of time becomes marked by her arrival and departure. Fritha would receive Rhayader’s messages at the post, and hurry to the marsh. There was even time for a little sailing in his boat. She learned the lore of every wild bird that flew the marshes, mixed his paints and sometimes cooked for him, for she was no longer a child. One year Princess did not return at her usual time—Rhayader was heartbroken and painted furiously all that summer. The birds’ migrations had changed because of the whine and roar of the bombers, for the world was on fire and seemed close to destruction. But in the fall, fully mature, a huge white bird, flying low, dropped from the skies. It seemed as if she would be staying of her own free will. 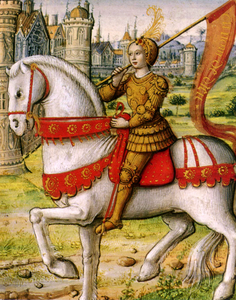 By 3 weeks, however, Fritha returned–she had to know if the Princess had stayed. 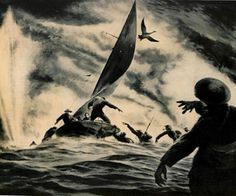 She found Phillip loading supplies into his sailboat—-there was an excitement about him. The British army is trapped on the sands of Dunkirk—it looks hopeless—every tug and fishing boat is headed across the Channel “to haul the men off the beaches to the transports and destroyers that could not reach the shallows,” p.36 to rescue as many men as possible. Frith was “young, primitive, inarticulate.” And “did not understand war, or what had happened in France, or the meaning of the trapped army, but the blood within her told her that here was danger.” P.37 “You’ll not come back—why must it be…?” p.37..
She knew she must accept his request to look after the birds. Fritha knew from “the ancient powers” in her blood that he would not return. 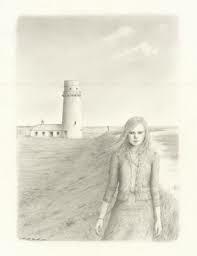 That evening on her visit, “the sea had moved in—Nothing was left to break the utter desolation. No marsh fowl had dared to return. Only the frightless gulls wheeled and soared and mewed their plaint over the place where it had been.” P.58. It seems this old lighthouse has been re-built and can be visited today. Let’s recall our original focus….. Discovery of and gaining respect for your process and your uniqueness. Individuation is the call to come to terms with one’s personal and collective unconscious. The word “Process” is the key —Process is on-going and will always be required—it never stops, whether you engage and participate in it or not. As with attending to all body functions, so will it be necessary to consciously Process spiritually and psychologically. 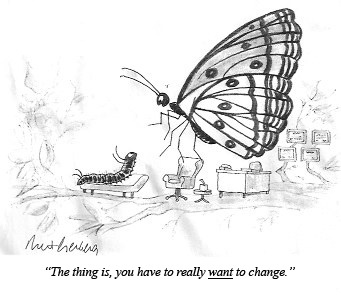 Think of the complexities of our digestion process—-however, as Viktor Frankl wrote—here. psychologically one is nourishing Spiritual Hunger and birthing meaning and purpose. This Process of coming into relationship to both the personal and collective unconscious in oneself requires a willingness to bear awareness of paradox, of the opposites –this facilitates a gain in ego strength. “Our life Is unsure—-therefore a feeling of unsureness is much nearer to the truth than the illusion and the bluff of sureness.” If we sincerely seek wholeness, we are guaranteed to fall in just the right hole. It is your totally personalized adventure. Jung’s relationship with Richard Wilhelm introduced him to the value of this 3000 year old treasure from China (Confucianism and the Taoism, of Lao-tse). 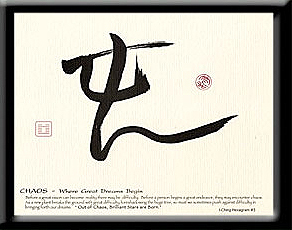 The archetype of wisdom in the I Ching is called Chun/ Difficulty at the Beginning. I will not review the meaning of the 6 line here, but the totality becomes the image of “a blade of grass pushing against an obstacle as it sprouts out of the earth.” Wilhelm says this ”indicates the way in which heaven and earth bring forth individual beings.” However, this event is “beset with difficulties. p.16 —it is the struggle of all to “attain form” within motion—perseverance, however, brings the “ prospect of great success, in spite of existing danger.” —This offers a metaphor for the repetitive dying and rebirthings in our lives, all the endings and beginnings. Whether inner or outer, bearing this truth will demand pause and a listening from the heart to be able to take in the paradoxes and the mysteries in front of our eyes, much as one experiences during the birth of a child. Taoist Master Alfred Huang’s book, The Complete I Ching names Hexagram #3, Zhun, Beginning. The teachings ask that Chaos become our friend—may the human spaces of teeming complexity, confusion, complication, bursting distress and sprouting— through Hesitation and Perseverance— bring a return to the Opportunity and Potential of one’s Gifts, to Clarity, and Discernment of Self. 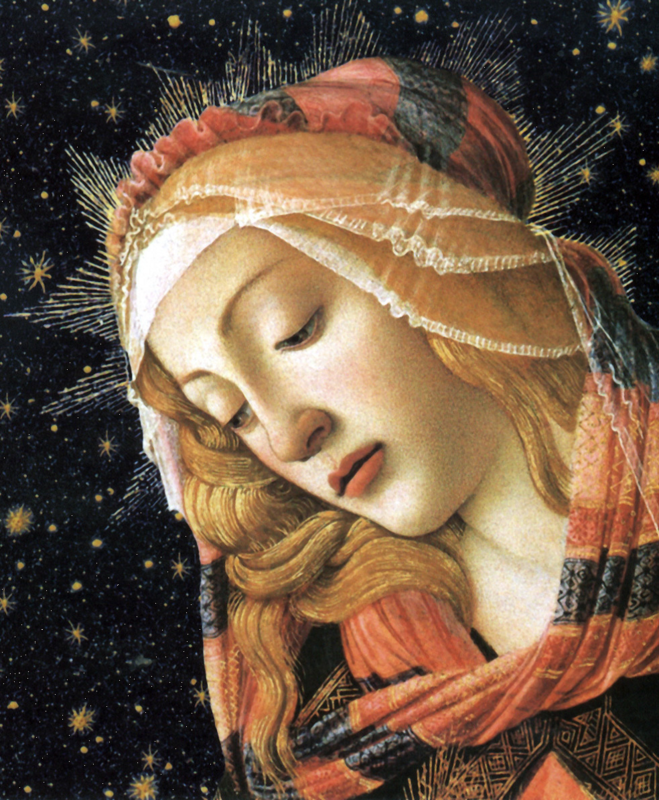 The words Logos and the Holy Spirit are often used, however, the archetype of wisdom is generally personified through the Archetype of the Feminine whether in man or woman. 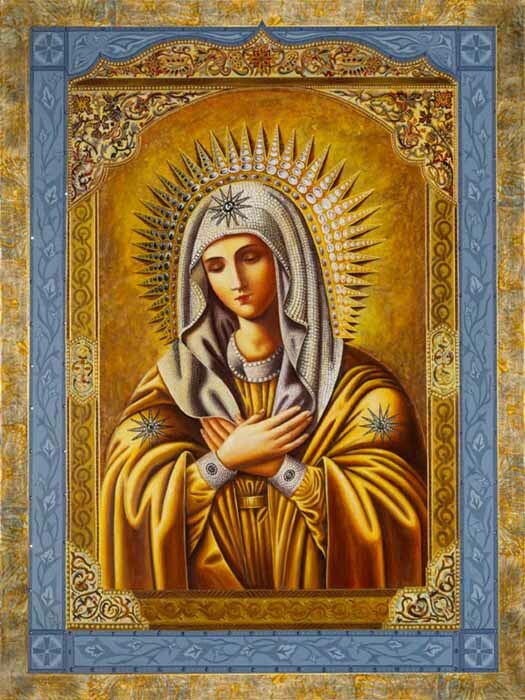 Probably the most well -recognized personifications of the feminine of Wisdom is Sophia. Here is a gnostic fragment referring to Sophia from The Lost Gospel of Eve, Sophia, Goddess of Wisdom, Matthews, C.
“It is I who am you; and it is you who are me. And wherever you are, I am there. For I am sown in all: and you collect me from wherever you wish. Whether we incarnated as a man or woman this lifetime, Wisdom is always referred to as the archetype of the feminine, (the milk of wisdom) —–this is the core of the woman who is supported from within through having gained a positive relationship to her inner masculine, the animus. 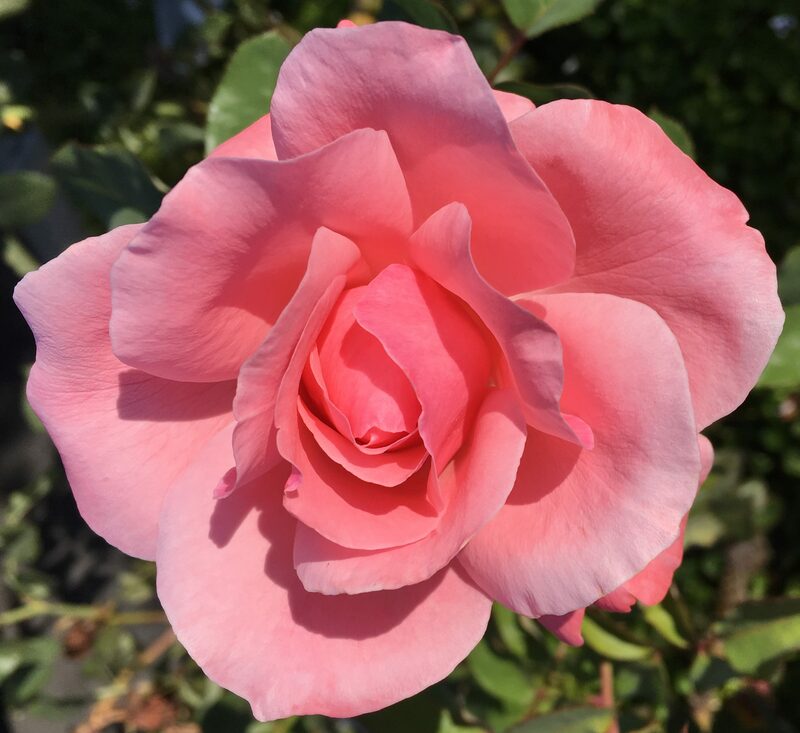 She will be challenged to stay aware of herself in relationship for she will meet the existence of the man’s inner positive feminine, the anima —–the anima, highly developed might be a muse, goddess, inspiration, divine mother, Sophia, Virgin Mary, a nymph, Athena, maybe Neith, the Egyptian virgin mother—all cultures demonstrate this principle. Here is a dream about the unconscious/God/an archetypal energy wanting to reach a woman demonstrating her response to the call. Does the wave come when we don’t want to listen, when we turn against the angels. June Singer defined individuation as learning to sail guided by the wind. If we get identified with either side, we are in either a positive or negative inflation—the inner and outer conflict will be there. If we want to escape this tension, we end up leaving ourselves behind.–“To live in perpetual flight from ourselves is a better thing” (i.e. it is collectively honored)- to live with ourselves demands patience, love, faith, and hope. 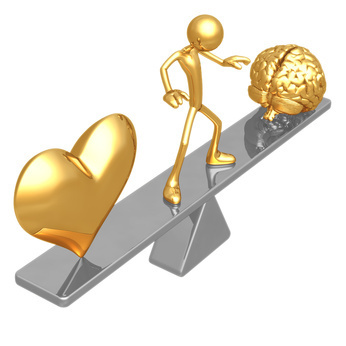 The conscious mind has to take this polarity into account, in order that both sides may be allowed to play their part. If the unconscious is not allowed to express itself, there are consequences. It will eventually find some way, such as illness. The cross is an apt symbol for living and the suffering within the wholeness of life. It honors the fundamental contrariness within the whole. This metaphor honors a true understanding of spiritual resignation. The Anima is “the chaotic urge to life” that carries “a secret knowledge or hidden wisdom–CW9 1—“the first encounter with her usually leads one to infer anything rather than wisdom.” P.31 ibid Wisdom only shows up when you come “to grips with her seriously” ibid. –it is a huge task to come to terms with any content of the collective unconscious—“only then, when this hard task has been faced, does he come to realize more and more that behind all her cruel sporting with human fate there lies something like a hidden purpose which seems to reflect a superior knowledge of life’s laws. It is just the most unexpected, the most terrifyingly chaotic things which reveal a deeper meaning. And the more this meaning is recognized, the more the anima loses her impetuous and compulsive character. Jung’s comment to a man–say what you have to say to the figure and listen for the response. Treat the anima as a person, as something that exists. Give her ordinary human reactions—you want to receive her secrets. She is a total advocate. The negative Anima, on the opposite pole can be—fickle, capricious, moody, uncontrolled, capricious, emotional and uncontrolled, (without relationship to her) man becomes remote, taken over by a bitchy mood and unavailable. However, when the capacity for relationship and feeling is mature, the anima appears in dream and myth as a spiritual guide (Ariadne, Beatrice, the Virgin Mary). Earlier I mentioned when that capacity is undeveloped and immature, the anima appears as a femme fatale, a witch, a seductress, etc. 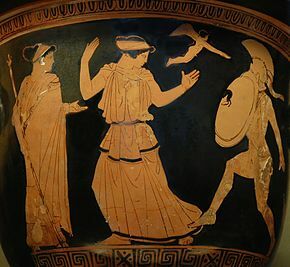 (Lorelei, Siren, Medea, Calypso, et al.) (p. 47-50). In his discussion of the tragic consequence of this hero inflation, he speaks of a loss of soul. The word “soul” had many meanings for Jung, but in the context of The Red Book, it seems to refer specifically to the archetype of the anima—the archetype of relationship and feeling that typically manifests in a man’s dreams, and in patriarchal culture’s myths, as a female figure (Walker, p. 47). The recognition and differentiation of the Positive and Negative Polarities arises strongly here for the woman. 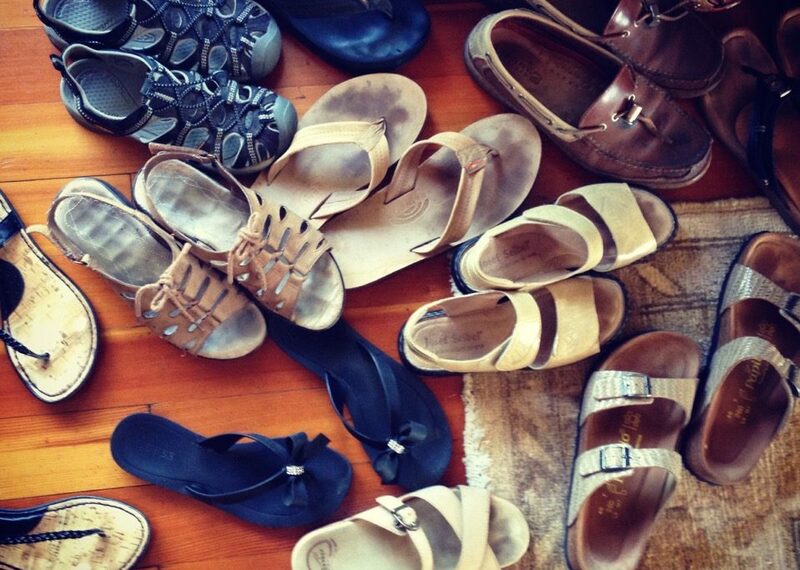 One must be able to question and to ask—Where am I right now—this is a major sorting job. Do I need to stop? Who is talking besides the animus with its agenda? Once there is awareness and the best choice possible is given or made, then, is your choice safe with you—can you hold it with possible new attacks from the negative side once the decision is made? ! Self-safety is only made possible when one is willing to take full responsibility for choices made, refuse any negative animus take-over, view possibilities and probable consequences and learn. Argumentative, critical. domineering, theoretical, obstinate, dogmatic, laying down the law, harping on principles—sound familiar?–vs recognition of an energy that actually feels like an ally, recognizes aliveness and life, a generative energy that brings inspiration, enthusiasm, support, a deeper spiritual assessment and that supports discernment and responsible, individual choice. One will eventually see a furthering flowering of one’s personal spiritual path. Take a breath on that one!! How do we titrate nourishment and take the jump into trusting direct knowing after years of malnourishment in this regard? It will require sorting, discernment and the bearing of paradox and new sensing, new recognition of what your personal nourishment actually is versus what might have been tolerated as nourishment prior to this recognition and assessment. Briefly we could say that there are parts of her within the collective aspect that are ready to take the jump into seriousness and commitment to that sailboat—that process of individuation. The group is angry at her reluctance, i. e. collective aspects of herself. The realization of the cost of this new way is that it is high and there is an awareness of the energy it will take—of the cost. Sheldon Kopp said it would cost everything. She is not ready to move forward in her present ego state. Direct knowing—or revelation– requires the seeing and bearing of paradox. “The contradiction, the paradoxical evaluation of humanity by man himself is in truth a matter for wonder….’man is an enigma.’ “ Jung, The Undiscovered Self. Nothing new is created without the acceptance of paradox. Remember to work with Projection—requires Rigorous self-examination. Consider what may need to stay inner—it will be most of it. Include remembrance of Pause, awaiting Response for correct action versus Reactivity. 5. Developing Observation, Resilience, Regenerative ability, Flexibility and Choice— enduring the stretching and the many returns and re-sets and re-organizations in one’s life. Observing without judgment, moving to assessment of all possible consequences, immediate and long range. “There comes a time in the spiritual journey when you start making choices from a very different place. And if a choice lines up so that it supports truth, health, happiness, wisdom and love, it’s the right choice.” ~Angeles Arrien—Dr. Michael Conforti speaks of this turn in the road as “generative choice”—that which serves Life. Consciousness of Polarities—this includes discernment of and feeling into generative and non-generative Tension. Is the tension bearing fruit, bringing forth solutions in the choice to be patient, is it leading to answers or is it a possession by a complex that must be recognized and named? Ability to work with Chaos—increase of capacity to value the mysteries of the psyche and to bear the cauldron of change without identification with the storm. Ability to remember and to work with the Trickster—Recognize the signs of a possession or Identification coming on—be receptive to the feedback of others to help you consider this possibility—you may not see it—they do see it. Move to inner dialogue with this energy in active imagination, maintaining observation and your stance. Assessment of Sacrifice—what actually Is costing you too much? What needs to be made holy? Can you sacrifice naivete for the vulnerability of innocence. Consider the Reality factors in the situation—William Glasser wrote of Positive Addiction—can you accept necessary Limitation—all choices have limitation. Acknowledgement of the Truth of being called to be a Pioneer in yourself and the collective. As one meets personal monsters and patterns, one is actually a pioneer. Meet what destroys you and others. Monsters want recognition and a way to participate—you are the only one who can offer that avenue. Ability to respect and relate to the isolation factor that will be felt on this individual personal journey by gaining an archetypal perspective of your personal story. Become conscious of what you are feeding, what you want to feed or not! Remembrance of Soul Discipline as differing from necessary early discipline from family and school for collective life, which may or not have been suitable. Begin this new discipline honoring the soul in order to create a destiny out of your fate, out of what happened to you. This will take the development of a new, respectful attitude towards the soul, authentically listening to and honoring its needs. This is accomplished through the disciplines of dream recording, body movement, sketching, drawing, writing for example, all of which honor unconscious truth. Nietzsche—accept what is and the love of what is becoming. Consider yourself worthy of serious attention, compassion, respect and dignity. There is nothing “less than” in you—nothing! Coming to know your way of sharing. Jung offers a warning here—“Wisdom may be good for you but to hand it out to other people means just as much as corruption of the truth. Wisdom is the thing that one individual enjoys all by himself, and if you keep silent about it, then they will believe you, but when you talk it, you have no effect.” Jung Letters, p.201. Here we come Full Circle from our beginning definitions of Wisdom regarding the discernment of Knowledge versus Personal Gnosis —this brings up what, when, where and how one is to share. Ask, What does my soul want?– And –What am I leaving unattended? I have faith in all those things that are not yet said. I want to set free my most holy feelings. will be for me impossible to refuse. If that is presumption, then my God, forgive me. this is the way the children love you. as no one ever has before. standing before your cloudy forehead. The unfolding of myself to Myself? How do I remember and honor the Mystery that I am? Where am I trustworthy? Where am I honest? Where am I beautiful? Where am I powerful? Hum into the new life! Move to the rhythms of your Mythic Soul! pg.139 Ely, Howard: Editor. Best Poems of the 90’s. You are the unfolding of the goddess, receive her fully! Let body’s magical energy be heard. Reclaim! Recover! Remember! Gain your equilibrium. It is original nature. Shape your destiny and announce who you are! Greet the morning sun and preserve your wildness. Trust your ability to heal and birth through your pain. Listen to the mythic bells! Power slumbers in no-mind and in conscious sacrifice. We are each a great song! Cheetham, Tom. All the World an Icon: Henry Corbin and the Angelic Function of Beings. Berkeley, CA: North Atlantic, 2012. Print. Cicchetti, Jane. Dreams, Symbols & Homeopathy: Archetypal Dimensions of Healing. Berkeley, CA: North Atlantic, 2003. Print. Conforti, Michael. Field, Form, and Fate: Patterns in Mind, Nature, and Psyche. Woodstock, CT: Spring Publications, 1999. Print. Corbin, Henry. The Voyage and the Messenger: Iran and Philosophy. Berkeley, CA: North Atlantic, 1998. Print. Deardorff, Daniel. The Other Within: The Genius of Deformity in Myth, Culture & Psyche. Berkeley, CA: North Atlantic, 2009. Print. Frankl, Viktor E., Man’s Search for Ultimate Meaning. New York: Insight, 1997. Print. Franz, Marie-Louise Von. On Divination and Synchronicity: The Psychology of Meaningful Chance. Toronto: Inner City, 1980. Print. Gallico, Paul. 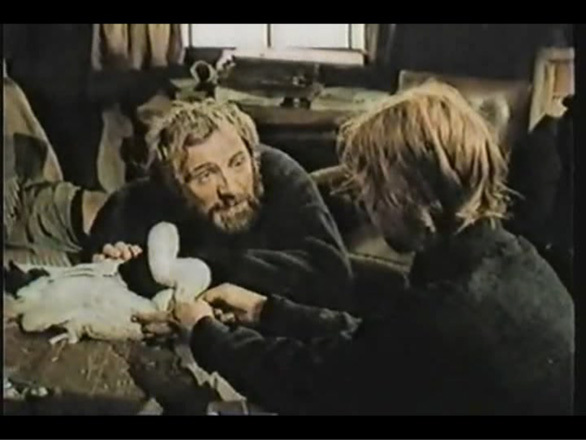 The Snow Goose. New York: A.A. Knopf, 1941. Print. Hanson, Rick. Hardwiring Happiness: The New Brain Science of Contentment, Calm, and Confidence. N.p. : n.p., n.d. Print. Huang, Alfred. The Complete I Ching: The Definitive Translation. Rochester, VT: Inner Traditions, 2004. Print. Johnson, Robert A. Inner Gold: Understanding Psychological Projection. Kihei, HI: Koa, 2008. Print. Jung, C. G. Jung Letters 1906-1950. Vol. 1. Princeton, NJ: Princeton UP, 1975. Print. 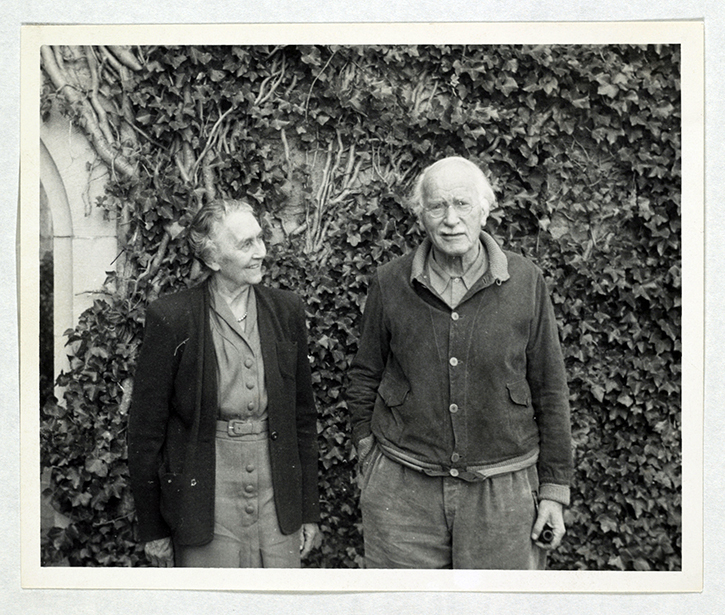 Jung, C. G. Jung Letters1951-1961. Vol. 2. Princeton, NJ: Princeton UP, 1975. Print. Jung, C. G., Herbert Read, Michael Fordham, and Gerhard Adler. The Collected Works of C.G. Jung. New York: Pantheon, 1953. Print. Jung, Carl Gustav, Sonu Shamdasani, Mark Kyburz, and John Peck. The Red Book. New York (N.Y.): W. W. Norton, 2009. Print. Neumann, Erich. The Great Mother. Princeton: Princeton UP, 1963. Print. Ni, Hua Ching. The Book of Changes and the Unchanging Truth B. Santa Monica, CA: Sevenstar Communications, 1994. Print. Paris, Ginette. Wisdom of the Psyche: Depth Psychology after Neuroscience. London: Routledge, 2007. Print. Parker, George. “Homes Fire.” New Yorker. N.p., 7 Apr. 2014. Web. <http://www.newyorker.com/arts/critics/books/2014/04/07/140407crbo_books_packer?currentPage=all>. Pearsall, Paul. The Beethoven Factor: The New Positive Psychology of Hardiness, Happiness, Healing, and Hope. Charlottesville, VA: Hampton Roads Pub., 2003. Print. Rilke, Rainer Maria, and John J. L. Mood. Rilke on Love and Other Difficulties. 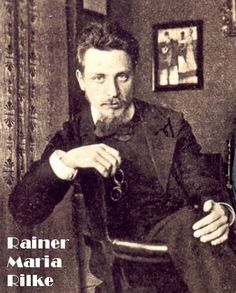 Translations and Considerations of Rainer Maria Rilke. New York: Norton, 1975. Print. Schipflinger, Thomas. Sophia-Maria: A Holistic Vision of Creation. York Beach, Me. : S. Wieser, 1998. Print. Schreiner, Olive. So Here Then Are Dreams. East Aurora, NY: Roycroft Shop, 1928. Print. Wilhelm, Richard, and Cary F. Baynes. The I Ching; Or, Book of Changes. Princeton, NJ: Princeton UP, 1967. Print. Wilhelm, Richard. Lectures on the I Ching: Constancy and Change. Princeton, NJ: Princeton UP, 1979. Print.